As we think that windows 8.1 bring start menu back. But, it does not bring classic start menu to the windows. This is a big disappointment for us. Even though we have some small apps to bring start button back to windows 8. Here I just show some of the software which brings start back. The simple description of this software is a MODERN START MENU. Yes, definitely it provides a new type of start menu for windows. People who wish to try something new, then this is for them. 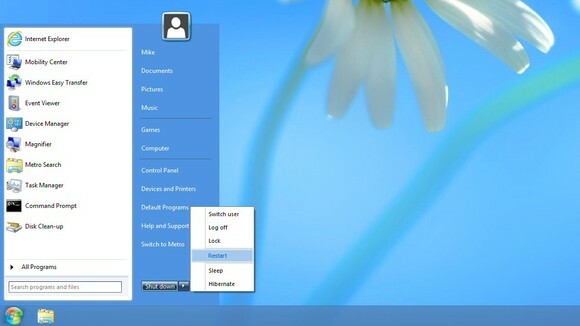 Classic Start 8 is a free application which adds a traditional-style start button to the Windows® 8 desktop taskbar. With full functionality just like in Windows® 7, Classic Start 8 brings back all the familiar features of a traditional start menu in Windows® 8, including quick access to the search box, control panel, documents, all programs and more! ← Android Trick: How to download apk file of android application from Google play store?? ?